A flurry of activity takes place this first day of March, three days prior to Abraham Lincoln’s inauguration. Texas officially becomes the seventh state to join the Confederate States of America, Confederate president Jefferson Davis appoints General P. G. T. Beauregard as Brigadier General and orders him to Charleston, and the United States Congress rejects the Washington Peace Conference proposals. Against this backdrop, Basil Manly, Jr. (illustration) – former pastor of First Baptist Church, Richmond, Virgina, and founding professor of Old Testament at the Southern Baptist Theological Seminary – is resigned to the coming warfare between South and North. 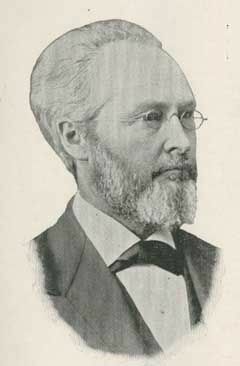 Unlike his slaveholding, ardent secessionist father, Basil Manly, Sr., the junior Manly is privately doubtful as to the rightness of the southern cause.